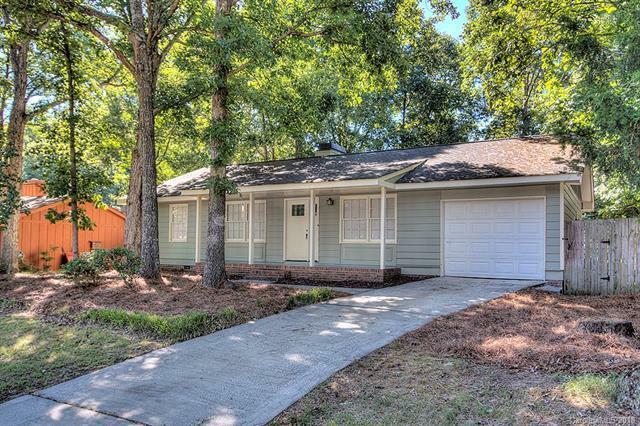 1009 Pineborough Road, Charlotte, NC 28212 (#3412276) :: Robert Greene Real Estate, Inc. Wonderful move-in ready ranch with attached garage! Living room boast vaulted ceilings, beautiful fireplace and French doors leading to large deck. Private wooded back yard is fully fenced. Wonderful location next to Mason Wallace park, short drive to South Park and Matthews with easy commute Uptown. Updated lighting and hardware throughout, Walk-in closet in master, and ceiling fans in bedrooms. Fresh paint inside and out! Sold by Carolina Realty & Investing Group Llc.